Now that he’s placed two far-right jurists on the Supreme Court, Donald Trump seems convinced that the nation’s highest bench will effectively serve as a rubber stamp, clearing the way for everything he wants. The White House agenda on DACA? The president expects the Supreme Court to rule his way. Birthright citizenship? The president expects the Supreme Court to rule his way. Redirecting funds through an emergency declaration? The president expects the Supreme Court to rule his way. Tearing down his own country’s health care system? The president expects the Supreme Court to rule his way. With this mind, consider Trump’s latest mini-tantrum on Twitter. “The Mueller Report, despite being written by Angry Democrats and Trump Haters, and with unlimited money behind it ($35,000,000), didn’t lay a glove on me. I DID NOTHING WRONG. If the partisan Dems ever tried to Impeach, I would first head to the U.S. Supreme Court. Much of this is gibberish, including the assertions that Special Counsel Robert Mueller’s findings uncovered no evidence of criminal wrongdoing. Reality tells a different story, especially as it relates to obstruction of justice. It’s also bizarre that the erratic president believes his opponents have been “caught in the act” of committing crimes – misdeeds that exist only in Trump’s mind. But what may matter most is Trump’s intention to “head to the U.S. Supreme Court” if congressional Dems launch an impeachment effort. We’re occasionally reminded of just how little our amateur president understands about the basics of American governance and civics. We’re also reminded that Trump doesn’t feel the need to ask anyone for clarifications about how the system works, since his misplaced confidence overshadows his ignorance. But as someone really ought to let the president know, Congress is responsible for initiating, overseeing, and executing the impeachment process. Lawmakers, and no one else, determine whether a president has committed impeachable acts. Trump could “head to the U.S. Supreme Court,” but there’s literally nothing justices could do for him, even if they wanted to. The judiciary has no authority to help or hinder the impeachment proceedings. The president doesn’t know that, and while that’s embarrassing, he nevertheless seems eager to let everyone know just how confused he is. In the process, Trump is also offering a peek into his perspective on problem-solving. When he finds himself in a jam, the president seems to instinctively look for a fixer: Trump has spent his tenure assuming that everyone from his attorney general to his congressional allies to his White House counsel can simply make his problems go away for him. As of this morning, the president seems to think the Supreme Court can even rescue him from the threat of impeachment. Fast Food Workers Can Be Fired For No Reason. A New Bill Could Change That. The New York City Council is considering “just cause” legislation to enshrine fairness and dignity for fast food workers. It could become a model for other cities and industries. Francis Gomez vividly remembers the day she was fired from her cashier job at a Taco Bell in Queens, New York. Just before last Christmas, she showed up for her shift when a manager told her, “Don’t clock in; you’re terminated.” The firing stunned Gomez, 27, who had worked on and off for the fast food chain since 2014. 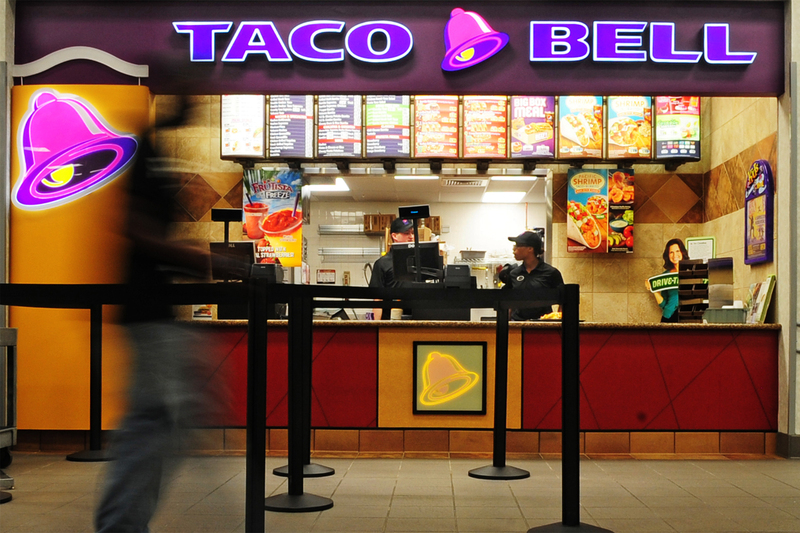 Taco Bell hasn’t responded to Civil Eats’ request for comment about its firing practices, but stories like Gomez’s are one of the reasons New York City Council members Brad Lander and Adrienne Adams have introduced “just cause” legislation to give fast food workers more job protection. The bill prohibits fast food companies from firing workers or significantly reducing their hours without a stated reason and would give employees the chance to correct their behavior before termination. With this legislation, New York City could lead the nation in offering job security for fast food workers. Tsedeye Gebreselassie, president of Fast Food Justice, an organization that fights for workplace improvements for fast food employees, said that staff have been fired for infractions as trivial as not smiling enough. But more often than not, she said, they’re deprived of real reasons for their terminations, making New York City’s just cause bill a potential game changer for workers. “The legislation the New York City Council is considering the first of its kind in the country for the fast food industry, but it could become a model for other cities and industries that want to enshrine fairness and dignity for workers and ensure they are only fired when there’s a reason that warrants it,” she told Civil Eats. 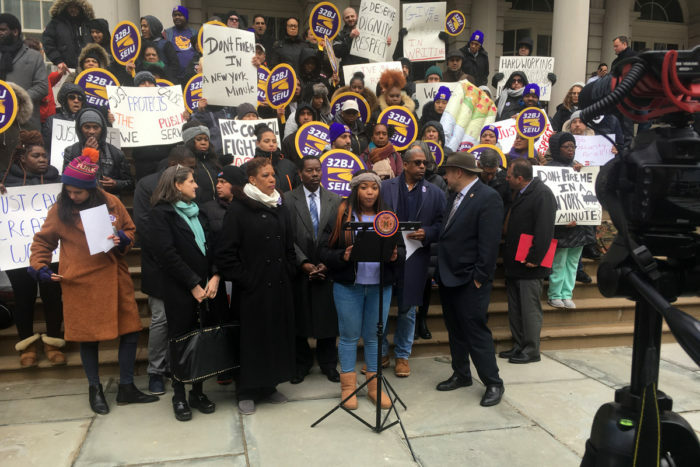 As the national Fight for $15 campaign highlights the need for living wages for fast food staff, New York City’s just cause legislation stresses the importance of keeping some of the labor market’s most vulnerable workers employed. While more job protection certainly benefits workers, supporters of just cause legislation say it could also help the fast food industry save money by stabilizing its workforce. By some estimates, the fast food industry has a 150 percent turnover rate. Each year, most chains lose their entire staffs, plus half of the replacements hired. The frequency with which fast food companies fire and hire workers usually comes at the expense of employees such as Gomez, who have little recourse when they’re terminated, labor advocates say. While nearly all Americans who don’t have union jobs are considered “at-will employees”—meaning they may be fired at any time for any reason—companies typically use progressive discipline for employees rather than terminate them without warning. Fast food workers tend to have the opposite experience. A recent report entitled, “Fired On a Whim: The Precarious Existence of NYC Fast-Food Workers,” found that 58 percent of 237 fast food employees have had their hours severely cut, and 65 percent have been fired without a reason. The National Employment Law Project (NELP), the Center for Popular Democracy, 32BJ SEIU, and Fast Food Justice collaborated on the analysis. 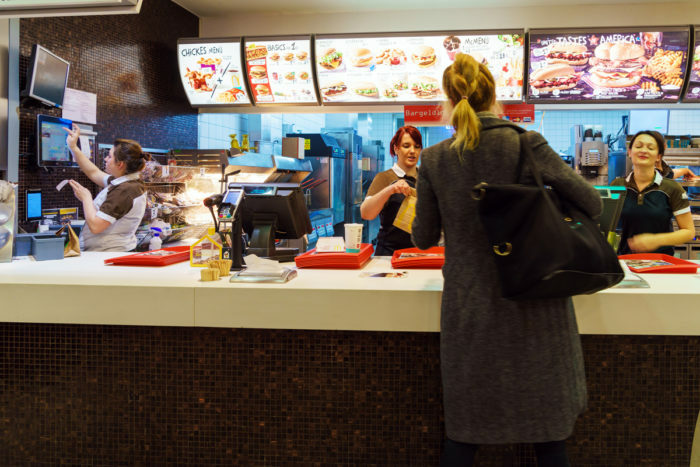 Paul Sonn, NELP’s state policy program director, said the New York bill would require fast food chains to implement basic fair practices before cutting employees’ hours or terminating them. The restaurants would have to clearly outline job expectations and give workers warnings, chances to improve their behavior, and notice of possible termination. In extreme cases, such as workplace violence, companies would not have to use these practices before firing an employee. The “disposable culture” of the fast food world has made such guidelines necessary, Sonn said. Stephanie Seguino, a University of Vermont economics professor, said that the legislation will lead fast food chains to reflect on their business practices, particularly the arbitrary dismissal of employees. She places the fast food workforce in the context of the Great Recession, which led to a process called labor market flexibilization, more colloquially known as the gig economy. The 2008 recession and the decline of labor unions means that workers in various fields have fewer protections than they once did, and companies in a number of industries are increasingly firing and hiring people at will, or using third-party contractors to hire workers, to avoid giving employees benefits. Seguino says that single mothers are especially at risk in industries such as fast food, where missing a shift or being late for one can result in job termination. These women bear most of the responsibility for childcare and, therefore, have few options other than to miss work if their children fall ill or a daycare crisis occurs. Having to pick up and drop off children at school also increases the odds that mothers will be late and possibly fired, Seguino said. Terminating workers has dire consequences for fast-food workers. According to the “Fired on a Whim” report, 62 percent of respondents who lost a fast food job or had their hours cut experienced food insecurity, housing instability, and the inability to pay for childcare. Some were evicted or forced to move or quit school. Gomez, who still has not found full-time work, said that she has struggled financially since losing her Taco Bell job in December. Joblessness during the holiday season is particularly challenging, not only because it makes paying for Christmas gifts tough, she said, but also because it’s too late to apply for the seasonal work already underway. Gomez has depended on her wife to support over the past five months and has used some of the financial aid from her college education to cover expenses. While it’s clear that job security benefits workers, it also offers advantages to the fast food industry. According to the National Restaurant Industry, turnover costs restaurants an average of $150,000 per year. That number is likely higher for fast food restaurants, which have more than double the turnover of the overall restaurant average of 61 percent annually. Seguino agreed, pointing out how in the early days of the auto industry, carmakers such as Ford underpaid their workers, resulting in a high annual turnover rate. Ford eventually realized how much it cost to replace its workers and raised its pay to reduce turnover. As labor advocates support New York City’s just cause bill, Gomez said that she encounters far too many people who don’t consider the job “real work.” But Gomez has a very different take on her former position. The New York City Council will likely vote on the bill during the summer, and advocates hope that if it passes, it will have a domino effect nationwide. SPEAKER: It’s the 21st century. We know climate change is real. We know that one of the challenges we have is that pollution has been free, but we need to put a price on it. DIMITRI LASCARIS: This is Dimitri Lascaris reporting for The Real News Network from Montreal, Canada. Earlier this week, officials from Environment and Climate Change Canada, a department of the Canadian federal government, presented the results of a study on warming in Canada. Their study concluded that Canada is warming at twice the rate of the rest of the world and that northern Canada is warming even more quickly, nearly three times the global rate. The officials also reported that three of the past five years have been the warmest on record in this country. Their study is the first of its kind. Entitled Canada’s Changing Climate Report, the study has been in the works for years and is the first of a series aimed at informing policy decisions and increasing public awareness and understanding of Canada’s changing climate. Now here to discuss this new study with us is Keith Stewart. Keith is a Senior Energy Strategist with Greenpeace Canada and part-time instructor at the University of Toronto. He has a Ph.D. in Political Science from York University and has worked as a climate policy researcher and advocate for 19 years. He joins us today from Toronto. Thanks for coming back on The Real News, Keith. KEITH STEWART: Thanks for having me. DIMITRI LASCARIS: So Keith, even with all of the warming that has occurred in this country since the beginning of the fossil fuels era, we Canadians continue to live in what is one of the world’s relatively colder climates. Why should Canadians be concerned about this report? How is the warming of the atmosphere and of the oceans affecting their lives in practical terms and what practical effects should Canadians anticipate as Canada continues to warm? KEITH STEWART: It’s kind of a standard joke that oh, in Canada it would be nice if it was a little warmer. The problem is the rate of change. We haven’t historically– well, in the geological record climate has changed a lot over time– but we’re trying to pack change that usually take 50,000 to 100,000 years into 50 years. Because we’re burning fossil fuels and sort of increasing the greenhouse effect trapping heat, which it then causes a whole bunch of other changes. You might think oh, a little bit warmer that would be nice, but you’re also changing rainfall patterns. 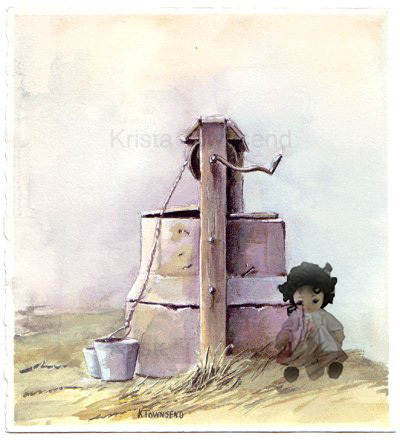 You’re going to have drought in some places. You are going to have more wildfires, the kinds we’ve seen in B.C. and Alberta the last couple of years where people literally couldn’t breathe. Walking outside in Vancouver was like breathing eight packs, smoking eight pack of cigarettes. In urban areas, one of the warnings in the report is we’re going to see even more flooding. In particular, the kind of flash flooding which in one incident here in Toronto back in 2013, we saw $960 million worth of damage in a couple of hours. We saw street cars under water. People had to be rescued from the GO train by boat. These kinds of severe impacts– the heat waves, the droughts, the wildfires, the flooding– these cause enormous damage to our economy, they cause enormous damage to our health, and we’re only seeing the thin edge of the wedge here. When you look at this report, a big part of the message in the report is: what the future looks like depends a lot on what actions we take today. In their low emissions scenario, if Canada warmed about one point seven degrees, it would warm by another two degrees, that’s bad because it would have a whole bunch of negative impacts. The negative impacts by far outweigh the positives. In the high emissions scenario, the one we’re actually on the path to right now, they’re talking about warming by six degrees in Canada, on average even more than the far north, by the end of the century. That would make agriculture basically impossible in large chunks of the prairies. They say oh, you can just move further north. 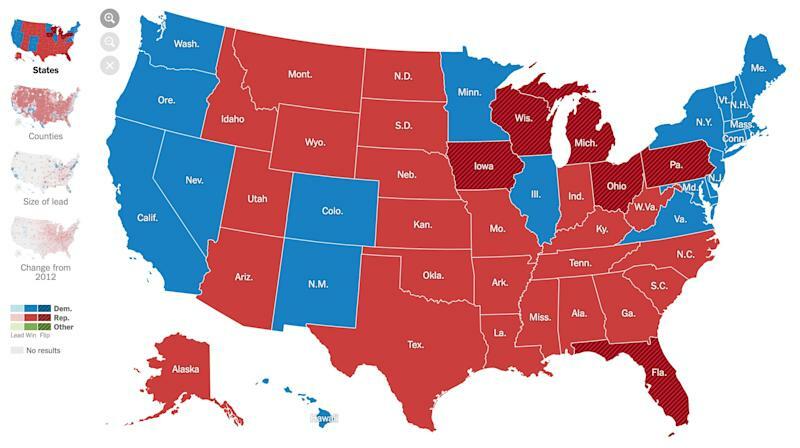 Well a lot of places in this country you move further north, they don’t have soil to be able to support agriculture. Here in Ontario, we have this thing called the Canadian Shield. It’s all granite. You can’t grow crops there. And similarly, forests which are suited for one climate system, can’t move themselves north 50, 100, 200 kilometers in the space of 20 years. DIMITRI LASCARIS: This study was released on April 1st, Keith, which also happened to be the date on which a federal carbon tax of $20 a ton took effect in provinces that lack provincial pricing plans, including the provinces of New Brunswick, Ontario Manitoba, and Saskatchewan. The carbon tax, as I’m sure you know, is the centerpiece of the Trudeau government’s strategy for fighting climate change. In your view, is this carbon tax adequate both from the perspective of the amount of the tax and the breadth of its application? And if not, what kind of a carbon tax do you think we need in this country given the urgency of the situation? KEITH STEWART: I think one of the problems we have in this country right now is action on climate change has been narrowed to carbon tax, no carbon tax. And really we need a whole, vast suite of efforts not just carbon taxes but also massive investments in things like public transit, so people can get to where they need to go without having to drive a car. We need to invest in better sewage/stormwater systems so that we’re not having these floodings. We need to invest in rapidly transitioning to renewable energy. A carbon tax is a key part of that. Raising the price of fossil fuels makes them less attractive relative to cleaner forms of energy. It also brings in some cash that can be done to build things like great public transit systems or, put up windmills and solar panels. So in the U.S. we are talking about this as a Green New Deal, kind of built on the New Deal that Roosevelt, that the Americans brought in to fight the Great Depression. That’s the kind of change we need. This carbon tax is a component of that and I think it’s kind of like the lowest possible measure, $20 dollars a ton kicking in this year. That’s 4.4 cents per liter of gasoline. When you look at the price of oil, the price of gasoline goes up and down. That’s not a huge change. That on its own is by no means enough. They’re also talking about increasing it $10 a year. Greenpeace would support that. We also think the money should be invested back in renewables, but that’s got to be just one piece of a much bigger package. The big problem we have right now is no one is treating the climate crisis really like a crisis. We treat it more as kind of a messaging problem; we do a few things it will go away. Or, on one side of the political spectrum with the conservatives at the provincial level and federally who are fighting against even the small carbon tax that’s being proposed, they’re proposing we do nothing. That somehow if we ignore the problem, it will go away. One of my friends was asking me, “do you think this new report that just came is a wakeup call?” And was like well, there’s an old proverb that says “you can’t wake up a man who’s only pretending to be asleep” and that’s the problem with a lot of the politicians in this country and around the world. They’re pretending to be asleep on this issue, hoping they can get out of office and it will be someone else’s problem down the road. DIMITRI LASCARIS: Now at the same time as the Trudeau government has raised alarms about the extent of warming in this country, federal and provincial governments continue to subsidize fossil fuels to the tune of about $3 billion a year. Also, as we’ve reported extensively on The Real News, the Trudeau government is spending billions of taxpayer dollars to buy its TransMountain tar sands pipeline. Keith, doesn’t this new study– I mean, what Justin Trudeau did on Monday was he held it up and said to the public and in particularly was addressing the conservatives and those who are opposed to the carbon tax, this shows that we have to impose a carbon tax. But doesn’t it also highlight the recklessness of the Trudeau government’s continued defense of the fossil fuels industry, its massive investments in the fossil fuels industry, this perpetuation of our dependence on fossil fuels? KEITH STEWART: Absolutely. Subsidies in fossil fuels is basically like a negative carbon tax. You’re making them cheaper in order to get people to use more. Similarly, the federal government yesterday was denying that, in response, were denying that the purchasing the pipeline was a subsidy to fossil fuels. Well it is and I think the Trudeau government is trying to have it both ways. They say we’re going to do a carbon tax and we’re going to promote expansion of the oil industry. If you’re serious about climate change, that means getting off of fossil fuels as quickly as possible by mid-century, at the latest. Building a new tar sands pipeline that has to operate for 50 years to make the money back, makes no sense at this point if you’re seriously committed to achieving the Paris climate goals, to protecting the future of our economy, of our communities, of our ecosystems. So it’s not one step forward, one step back which is kind of what we’re seeing from the federal liberals. It’s got to be leaping forward and I think the big problem in Canada and also similarly in the U.S. and many other places is that entrenched power of the fossil fuel interests in Canada and particularly the oil lobby. In the US it’s also the coal lobby who are basically saying, don’t go too fast. Give us time to get our money out. The Canadian Association of Petroleum Producers has launched an election campaign in Alberta saying, we want to double the rate of growth of oil production in Alberta and here’s all things you have to do to help us do that which is kill regulations, get rid of carbon pricing, build new pipelines. That’s basically asking people to vote for climate destruction. And I think this is going to be a big issue in the federal election here in the fall as we have the conservatives who are saying do nothing about climate change and give more subsidies to the oil industry. You have the liberals who are saying let’s do stuff on climate change but not touch oil production. So they are doing a coal phase out, they’re doing a bunch of other measures. But basically, oil is sacrosanct and what we really need is a push for this kind of a Green New Deal which actually, we can make our lives better. We can create great green jobs right across the country. We can deal with all sorts of problems in this country by the kind of investments that are necessary, putting people to work, solving the climate crisis. DIMITRI LASCARIS: We’ve been speaking to Keith Stewart of Greenpeace Canada about an important and alarming new study showing that the rate of warming in Canada is far above the global average. Thank you very much for joining us today, Keith. KEITH STEWART: Thanks so much for having me on. DIMITRI LASCARIS: And this is Dimitri Lascaris reporting for The Real News Network. Some U.S. states rely on America’s robust gun culture more than others. Gun manufacturers like Smith & Wesson (AOBC) and Sturm, Ruger & Co. (RGR) saw sales boom under former President Barack Obama’s tenure, but firearms sales in the U.S. fell by 6.1% — the second year of decline. And if the “Trump Slump” persists for gunmakers, Idaho will be the state hardest hit, according to a new report from WalletHub. 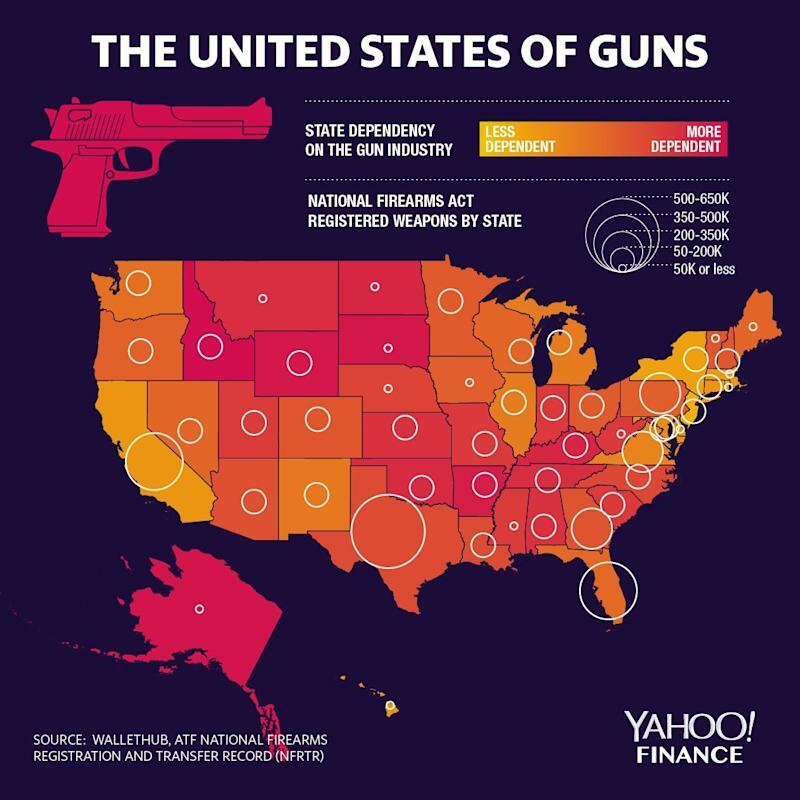 The study — which ranked all 50 states based on how the firearms industry contributed to the economic development of the state from jobs to sales, how prevalent guns were, and how far the state supported gun rights — found that Idaho was the state that was the most dependent on the gun industry. Alaska came in second place, followed by South Dakota, Wyoming, and Arkansas. 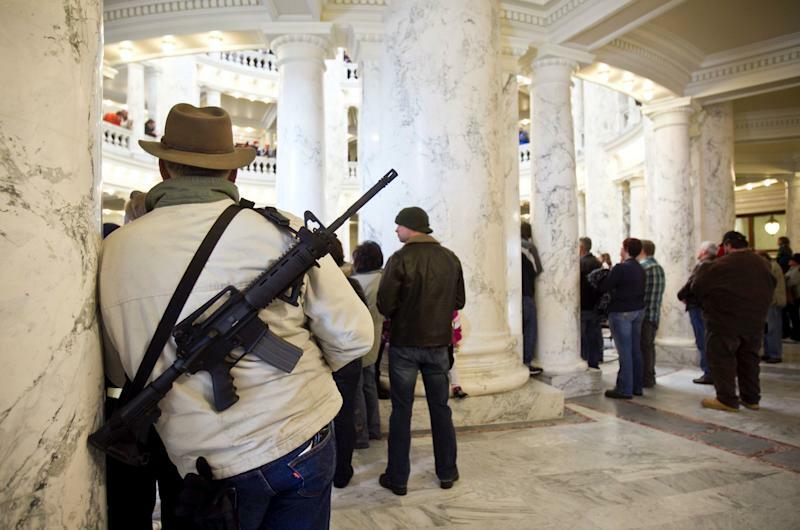 Idaho’s dependency stems from its reliance on the firearms industry: Idaho ranked only behind New Hampshire — home to industry giants like Sig Sauer and Sturm Ruger — in terms of the number of people per capita employed by the firearms industry. In 2018, the firearms industry contributed to nearly $1.2 billion in economic activity to the state, with over 3,600 people employed in companies that “manufacture, distribute and sell firearms, ammunition, and hunting equipment,” a National Shooting Sports Foundation (NSSF) report found. The state also ranked in the top 5 in terms of gun-friendliness and the prevalence of guns. Idaho began ramping efforts to attract the firearms industry in 2008 by touting its low wages, gun-friendly culture, and business climate, according to the Idaho Business Review. The plan has since paid off in less than a decade, as employment by the firearms industry grew 40% between 2012 and 2017. Overall, the NSSF also estimated that the firearms industry contributes to over $52 billion in economic activity to all 50 states, as gun manufacturers employed nearly 150,000 people, generated over $52 billion in economic activity, and its employees paid over $6.82 billion in taxes. 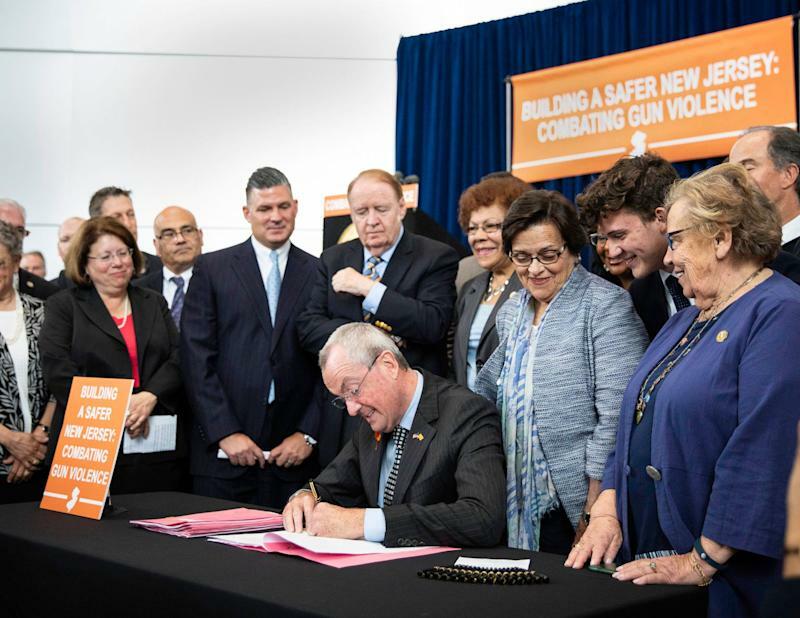 Gun-shy New Jersey ranked last on the list. Rhode Island, New York, Massachusetts, and Delaware followed. While the number of outstanding registered firearms are roughly the same between both states — 52,527 in Idaho versus 59,000 in New Jersey — the deliberate emphasis on gun control has been effective in keeping the firearms industry’s influence largely out of the state’s economy. Nevertheless, the NSSF claimed that New Jersey did see a $560 million boost in economic activity because of the industry. Another interesting takeaway from the study is that while Texas had the highest number of registered firearms at 637,612 in 2018, it was only ranked no. 22 on the list. Aarthi is a writer for Yahoo Finance. Despite Attorney General William Barr’s assurances and President Donald Trump’s boasts, the Mueller report doesn’t come close to exonerating the president of wrongdoing. Instead, it invites Congress to initiate impeachment proceedings. It’s time for Congress to heed that invitation. The report declines to reach a judgment on whether the president has committed a crime because Mueller views himself as bound by Department of Justice policy against indicting a sitting president. This does not mean that the president has not committed a crime. Indeed, Mueller’s refusal to reach a judgment is based partly on principles of fairness to the president: While people accused of a crime usually have the opportunity to give their story at trial, in this case, when no charges can be brought, the accused has no opportunity to clear his name. Mueller pointedly notes that the sitting president’s immunity, however, would not preclude prosecution “once the president’s term is over or he is otherwise removed from office” — that is, impeached. The real impeachment question isn’t if Trump broke the law. It’s if we can survive him. In these passages, Mueller invites Congress to take action, either through impeachment or by exposing a disgraced but politically acquitted Trump to criminal prosecution after he is no longer president — so long as that time comes within the five year statute of limitations for obstruction. I have written about the dangers of impeachment talk. The consequential and divisive decision to impeach is not to be taken lightly, ought not be used as a tool of political convenience, and should be avoided until the dangers of holding back exceed the dangers of proceeding. With the arrival of Mueller’s damning report, however, the time has now come. Rep. Jerrold Nadler, chairman of the House Judiciary Committee, has taken the essential first step by issuing a subpoena for Mueller’s full, unredacted report and all underlying evidence. Next, the committee must open hearings into whether Trump has committed “high crimes and misdemeanors” warranting removal from office. These hearings must not wait for the release of the unredacted report, which will likely come only after a protracted legal battle. Rather, hearings must begin immediately, using the redacted report as a road map. Congress must uncover the full facts of Russia’s interference in the 2016 election, the ways in which that interference is continuing in anticipation of 2020, and the full story of how the president and his team welcomed, benefited from, repaid, and obstructed lawful investigation into that interference and the president’s cooperation with it. Equally important, Congress must seize this opportunity, while the report remains a locus of national attention, for the American public to see and hear for itself the firsthand witnesses to the president’s criminal behavior, and to weigh and rally around an appropriate path forward — as they did in the wake of Watergate. Mueller’s report has in no way cleared the president of grave wrongdoing. It would be a lie to claim otherwise, as Barr and Trump repeatedly have done. The report takes pains to note that the investigation could not establish wrongdoing under the strict framework of conspiracy law, but it declines to draw a conclusion on the existence of collusion, which “is not a specific offence or theory” under U.S. law. Congress has a duty to provide a beacon of principle and democratic values to the American people. It must pick up the baton that Mueller has offered and come to a judgment of its own, with the understanding that conduct that falls short of criminal conspiracy may nonetheless be impeachable. Consider, for instance, candidate Trump’s public call for the help of the Russian state in defeating Hillary Clinton — met within hours, the special counsel charged, by Russian attempts to hack domains used by her campaign and personal office. Read together with Mueller’s report, this incident exposes the welcome that Trump and his circle extended to foreign support in manipulating the U.S. electorate. This behavior, whether called “collusion” or something else, is exactly the kind of conduct the Framers had in mind when they created procedures for impeachment. The report is unequivocal in concluding that even if Trump is criminally innocent of obstruction, it is not for lack of trying. The main reason the investigation wasn’t completely thwarted was not that the president didn’t “endeavor” to thwart it — the definition of criminal obstruction — but rather that Trump’s subordinates refused to comply. Consider, for comparison, that a president who ordered the military to destroy his political enemies would undeniably have committed impeachable offenses, even if the military failed to obey the directive. Add to this Trump’s decision to respond to the report by taking a victory lap rather than protecting our election systems from ongoing attack, and the likelihood that he continues to be compromised by leverage (financial or otherwise) from adversaries, and one sees a president indifferent to the security of the nation he is sworn to lead and to the Constitution he is sworn to uphold. Allowing such a president to remain immune not only from indictment but also from removal would betray Congress’ own responsibility to the public it represents. Laurence Tribe, co-author of To End a Presidency: The Power of Impeachment, is a professor of constitutional law at Harvard Law School and is involved in lawsuits challenging President Donald Trump on policy and ethics. You can read diverse opinions from our Board of Contributors and other writers on the Opinion front page, on Twitter and in our daily Opinion newsletter. To respond to a column, submit a comment to letters@usatoday.com. 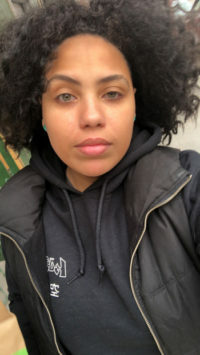 Adriana Belmonte, Associate Editor April 16, 2019. 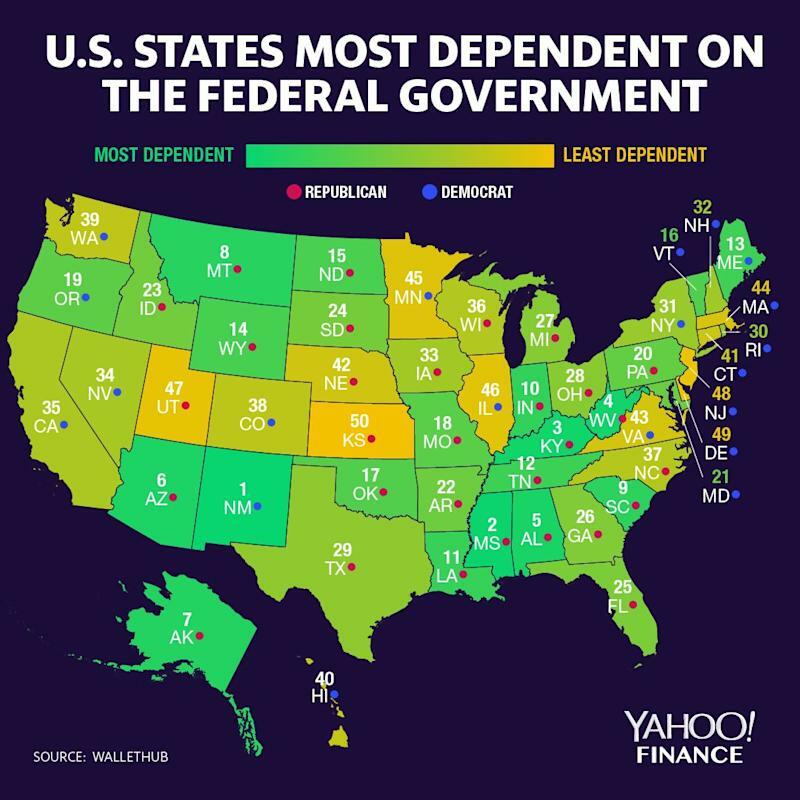 These are the U.S. states most and least dependent on the federal government. States that voted Democrat in 2016 generally rely less on federal funding than Republican states, according to a study by WalletHub. The analysis looked at the return on taxes paid to the federal government, the share of federal jobs, and federal funding as a share of state revenue. Thirteen out of the top 15 states found to be most dependent on the federal government voted for President Donald Trump in the 2016 presidential election. Ten out of the 15 least dependent states voted for Democratic nominee Hillary Clinton. According to WalletHub’s analysis, Virginia receives the second-highest amount of federal contracts while ranking federal funding as a share of state revenue. And given that WalletHub weighted federal funding four times more than share of federal jobs, Virginia is one of the least-dependent states on the federal government. Intergovernmental revenue includes funding for Medicaid, Temporary Assistance for Needy Families (TANF), child welfare services, and other low-income assistance programs. For TANF, Kentucky (3rd overall), Alaska (7th overall), and Delaware use the most federal dollars. In the 2017 fiscal year, Montana, the eighth-most dependent state overall in WalletHub’s analysis, received the highest amount of federal dollars for Medicaid at 80%. It was followed closely by West Virginia (4th overall), Arkansas, Kentucky (3rd overall), New Mexico (1st overall), and Arizona (6th overall). In terms of gross domestic product (GDP) per capita, Massachusetts ranked first, followed by New York, Alaska, North Dakota, and Wyoming. On the other end of the spectrum, Mississippi is the lowest, followed by Arkansas, West Virginia, Idaho, and Alabama. CNN is premiering a video. According to United Nations experts, the planet has until 2030 to stem catastrophic climate change. CNN climate change correspondent Bill Weir joins Full Circle to discuss his travels all around the world looking at the causes of, and solutions to, climate change.